Duchess Kate: Kate Spotted Shopping in Holt, William's Solo Tour & Black Friday Sales! 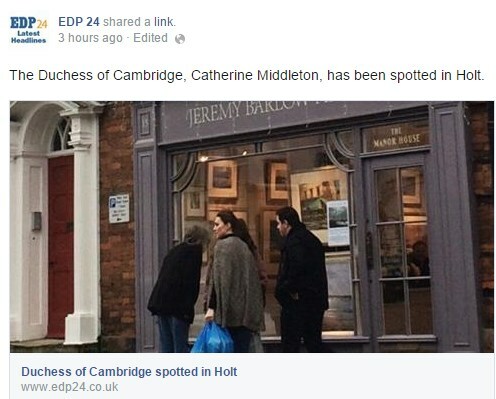 Kate Spotted Shopping in Holt, William's Solo Tour & Black Friday Sales! We have three updates to share with you today: a new Kate sighting, official news on the China tour and Black Friday sales from Kate's favourite retailers. Firstly, locals in the Georgian market town of Holt in Norfolk were surprised to see the Duchess in the high street this afternoon. There's a couple of Twitter photos in this article. "She looked lovely in a tartan cape as she left the Antiques Emporium and headed up the high street; what a great ambassador for shopping in local independent shops." It is not the first time Kate has been spotted shopping in the town, with the Duchess spotted a couple of times over the past two years stocking up on local produce and visiting the Antiques Emporium. 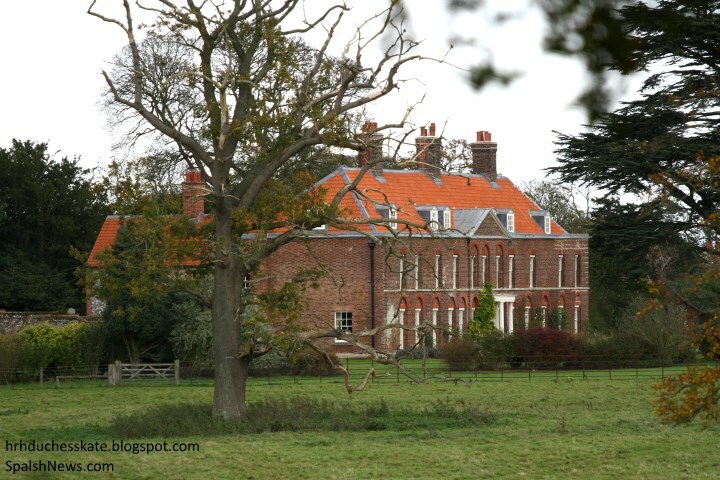 Given its close proximity to William and Kate's country home, Anmer Hall, locals can expect to see plenty of the royals over the next few years. 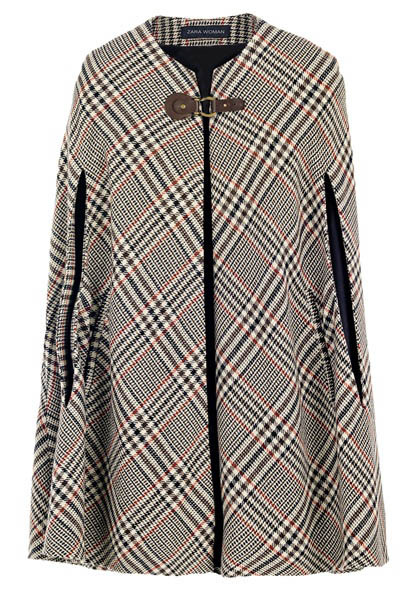 Kate kept warm in her Zara Checked Print Cape from the 2010 Fall Collection. The Duchess was photographed wearing the stylish piece during her first pregnancy, too. It's a great staple piece for winter. 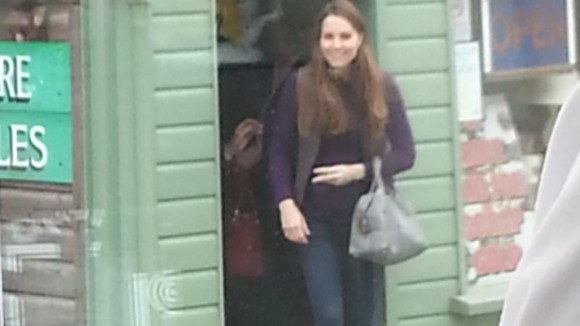 Kate teamed her cape with a black sweater, jeans, most likely by J Brand and black flat suede boots. We recently discussed rumours regarding the possibility of a royal visit to China in spring 2015 for the Cambridges. The rumours were confirmed today in a statement from Kensington Palace and as expected it will be a solo trip for Prince William who will also visit Japan. The itinerary for the trip has not been released yet, however, it will focus on UK-Japan relations, commerce and cultural exchange in support of his own work to combat the illegal wildlife trade. In China, William will promote UK-China relations, officially open a festival in Shanghai and again concentrate on wildlife conservation. No doubt William will do a fine job during this tour, though it is a pity it couldn't have waited until a later date when Kate could have joined him. There's no official word on this, but I expect we wont see the Cambridges undertake a joint overseas tour until sometime in 2016. Have you started your Christmas shopping yet? If not, you'll know Black Friday is one of the peak times of the year for fantastic sales and discounts at an array of retailers. For those searching for perfect festive stocking fillers, our friends at BLACK.co.uk are offering 15% off hundreds of best-selling luxury accessories for men and women with Free UK and International Delivery. 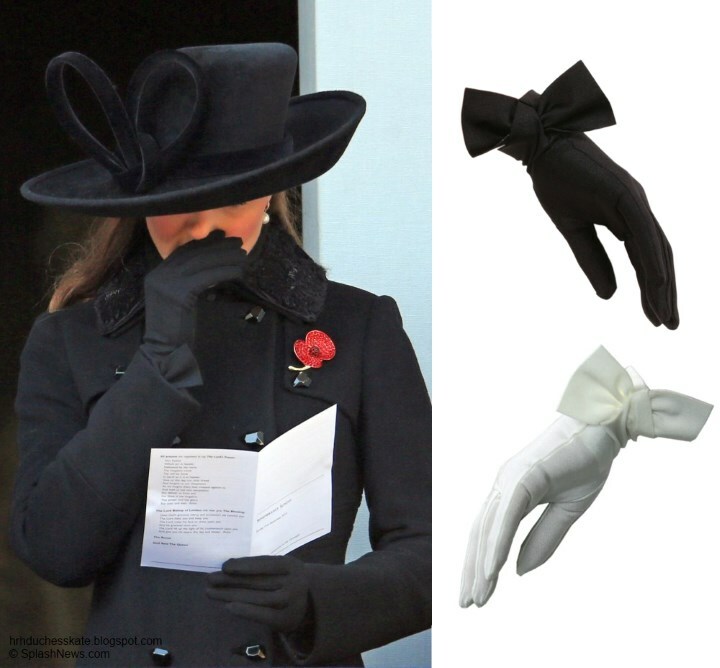 Discounted items included Kate's popular Cornelia James Bow Gloves in satin lycra. The short elegant cocktail gloves are ideal for the party season and stretchy, ensuring a snug, flattering fit. They're currently reduced from £42 to £35.70 and come in black and ivory. Chic knitted cashmere ponchos are on sale in striking shades including midnight blue, warm grey and classic black. 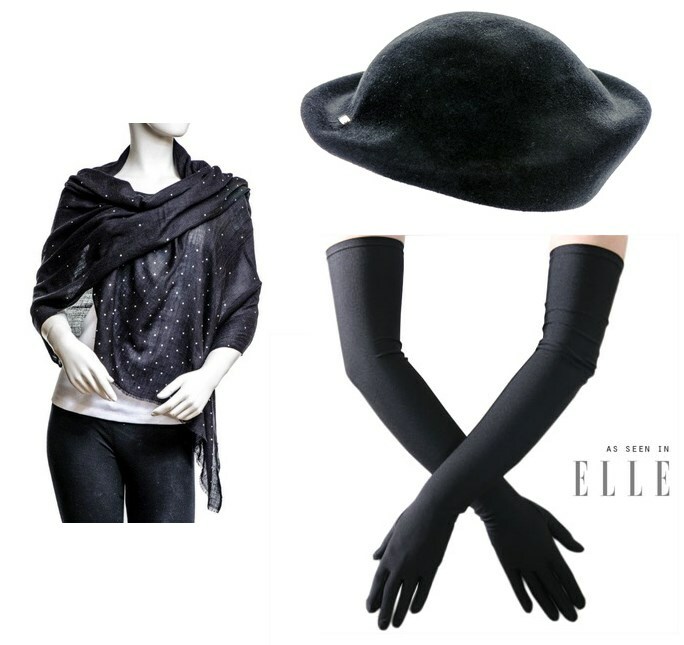 Emulate the ladies of Downton Abbey by added a timeless sophisticated accessory to your wardrobe with the Black Swarovski Crystal Scattered Wrap in Cashmere and Silk, Long Black Satin Gloves and the Caterina - Black Fur Felt Hat. We saw Kate wrap up in her cape earlier in the post. If you're a fan of capes take a look at the Walnut Brown Cashmere Swagger Cape in a wide rib knit pattern running horizontally around the cape. We also take a look at the Black Suede Cape with Silver Studs and the luxurious double sided cashmere/silk cape. It's a very versatile piece - reversible and interchangeable navy on one side and ivory on the other. The beautiful shimmering Black Cashmere and Lurex Wrap, Blue Elephant Cotton Scarf and the Prince of Wales Check Cashmere Scarf are all excellent gift options. There's a wide range of options included in the sale for men, too. Below we take a glimpse at the mens collection: the Vittoria Paisley Silk Scarf, Black Suede Gloves with Cashmere Lining, Ebony and Grey Cashmere Beanie and the Royal Stewart Tartan Cashmere Scarf. Items from BLACK come in elegant complimentary packaging and they offer same-day dispatch. L.K. Bennett are offering 25% off in their Black Friday Sale plus Free Delivery. 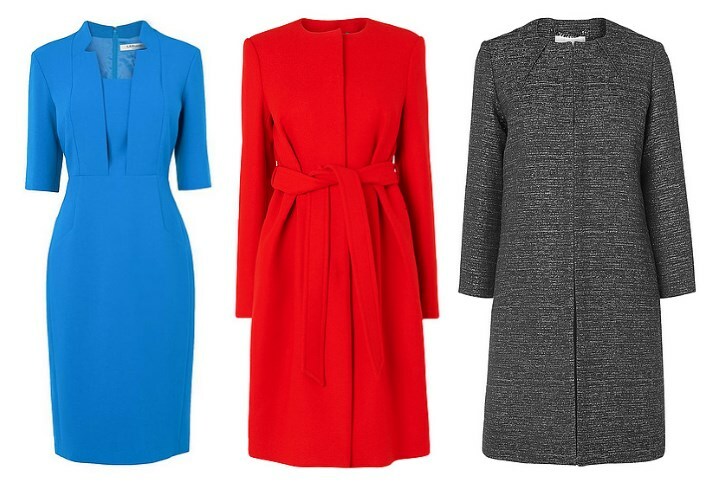 Discounted items include Kate's Detroit Dress and great winter coats - the Cadiz Belted Coat and the Agava Edge to Edge Coat. Zappos have decided to donate $1 for each of the first 500,000 orders over the weekend to Feeding America. The online retailer has several pairs of Kate's shoes in stock include the Stuart Weitzman 5050 (the US version of Kate's new flat black suede boots) and the Corkswoon wedges in several colours. There's a significant sale at Nordstrom with a variety of Kate's designers discounted. There's up to 40% discounted at Diane von Furstenberg. This is a stellar sale for those hoping to update their working wardrobe in particular. 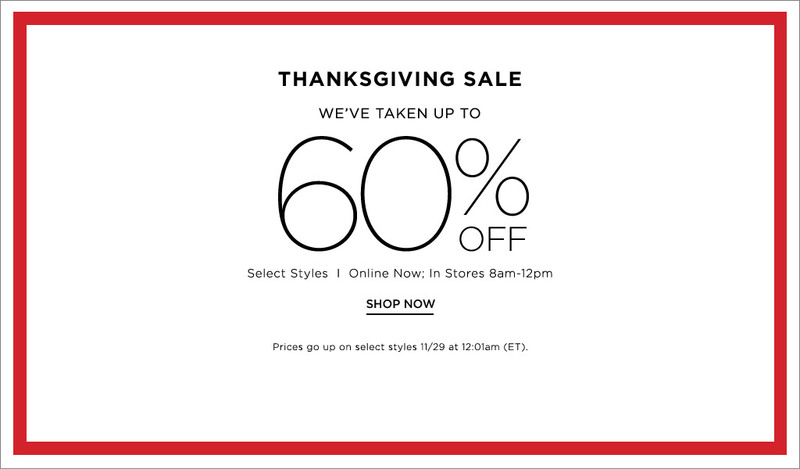 The Gap is offering 50% off with the code BLKFRIDAY. A number of Kate's designers including DVF feature in the sale at Saks Fifth Avenue. There's up to 60% off selected items. Take up to 25% off at SHOPBOP with code GOBIG14. From Alexander McQueen to Temperley London there's a whole host of designers available. Speaking of Temperley London, there's substantial savings to be made on the brands website. We hope those of you celebrating are having a wonderful Thanksgiving! Happy Thanksgiving, to everyone who celebrated it today!!! Kim, I would order these wedges in a heartbeat if they weren't quite so high. Royalfan - I must admit I'm one of the ladies who has these and despite the height I find them surprisingly comfortable. Ohh...I envy you, Charlotte. I do love the look! I have the blue wedges as well and like Charlotte said they're very comfortable. I would buy them in a heartbeat. I love wedges. Too bad about the price. Oh well we can dream. Each and every one of you who posts à response here, teaches me something. Thank you. I have always loved the cape; it looks very nice on her. And those black bow gloves! Would LOVE a pair. We will definitely cover the China and Japan tour Stephanie. It's a very special one for William, perhaps his most significant yet! My mum has similar stories of wearing items in the 80s and 90s because they were similar to a garment Diana had worn. I hope you had a wonderful time in Scotland, it's a beautiful place. Marianne, I can relate. :) On my first trip to London, I picked up the bright pink Inca sweater Diana wore during her engagement and the souleiado fabric tote bag she had with her at countless polo matches. And I just aged myself, didn't I? LOL. Lol I was 9 when diana came on the scene. I thought I looked the bees knees in a frilly pie crust neck shirt sbd red pedal pushers and flat ballet shoes!! Oh dear!! I am a few years older than Diana. The only things I emulated of hers were the white stockings worn with black court shoes. Ha ha! I did have high wedge shoes in the early 80s too, but not now. Thanks, Charlotte, for this coverage. Looking at the Diana/Charles wedding photos, I always thought it very amusing that the royal ladies powdered their faces with white powder and the Spencer ladies covered their legs in white stockings! All this brings back memory of my "Diana" look. White tights - with every outfit! An Inca pullover I got in Bath-- not an exact copy of hers but close. I couldn't afford the famous black sheep jumper - so I got a plain sheep jumper - much less expensive - and sewed black thread over one of the white sheep. Begged my mother for a single strand pearl necklace -real and I was so proud - and my father bought me a pearl chocker - - not real, but an exact copy of Diana's. I seached everywhere for a sailor dress like her pale blue one and finally found one, and am still remined of that era by a family snap of me in a pale green skirt and belted top - just like Diana and not bad looking actually. Even copied her style of low heel courts - I was Di-namic to say the least! Fortunately far too muttony now to want to copy Kate - and you wouldn't catch me in wedges at any time - but I would love the black lace DVF - the real one - if I could afford it and if I was a size two - neither of which has anything to do with reality but one can dream! I was two years old when Diana passed away... :( I became more and more interested with the royal family, and especially with Kate while she was pregnant with George. I just love her style and love this blog too. I have never commented before, although I was reading the comments. But today I saw those comments and just wanted to tell you a little anecdote, since we're all talking about emulating Diana's style. Well, that's my story. Hope you enjoy it. Please excuse me for all the misspellings I know I did. English isn't my first languague. Thank you Charlotte, for your great blog. You're doing an amazing job. You English is wonderful Alicia, you should be very proud! I would be lucky to stumble out a sentence in French. I'm delighted that a new generation is discovering the pleasures of royal fashion inspiration. You picked a lovely dress for a wedding. It must be beautiful and you must be wonderfully slim to wear it. I have to admit I used a dressmaker to emulate a couple of Diana's suits. It was fun to chose the pattern and fabric that would make the best match. Maybe we are all a little crazy but why not!! Hopefully, with Kate and being younger than you are, you can follow her style for years and won't go through the sadness and disillusionment we did when our whole Diana dream came crashing down and ended in such tragedy. Agree on the heels, I don't see how Kate does it. Wonder if Kate tapes her toes. They say that makes very high heels much more comfortable. Oh man! 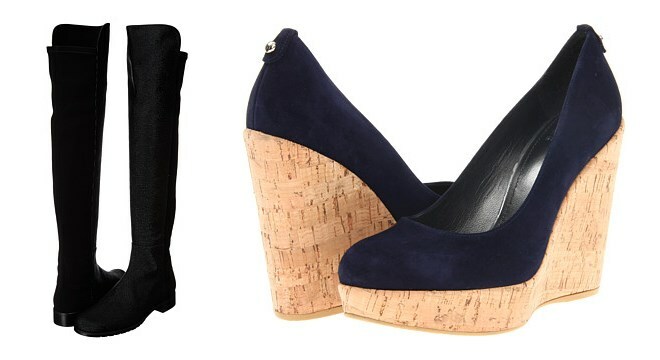 If I only had the means I would purchase enough Corkswoon wedges to send via Santa to each and every one of the wedge-haters. They'd then have the pleasure of throwing darts at them, burning them, or (on a day they're feeling magnanimous) sending them to Charlotte who gives us all so much pleasure (thank you!). Or perish the thought--wearing them. Maybe even trying a mile in those shoes. (It's the thought that counts.) And yes, I have a twisted sense of humour. Never forget: They're only shoes. Ho-ho-ho! Hello Philly, I love your sense of humour! Thanks for the fun of reading and laughing. A great idea and a great laugh! I am one of those who hate the wedges, so please send them via Santa, also who has some intelligent and mental issues you were referring in the previous post. Joke is a joke. But I do not like yours in particular. I love that cape of hers!! It's perfect for early pregnancy. Me 2. It's amazing. I would like her to wear it sometime in some more official (read: photo friendly) setting. Maybe with a black pencil skirt and ankle boots! Me 3. Loved it last time and even more now. However Rebecca, I doubt we will be seeing a pencil skirt anytime soon :-). Maybe a year from now!! Uhhhhh - all these discounts for all these lovely clothes!!!! Still, thank you so much for all your efforts, putting together this kind of post!!!! I just orderd the Cornelia James Bow Gloves in black. I'm soooooo excited :)) Thank you very much for the tip! Lovely pictures, thank you Charlotte. It seems ages since we saw Catherine shopping---suggests she is really feeling better now. Holt is such a lovely little town with great shops. She looks great in the cape---wish she would wear one on an official engagement. Look forward to William's tour and am quite relieved that Catherine has not been pushed to go too. Obviously the dates have been chosen around the opening of the British Exhibition in China, which means it could not have been postponed. By the way Charlotte the proving that we are human is becoming more and more difficult with numbers against peculiar backgrounds and letters jumbled---my poor old eyes have trouble with them. Had four failures yesterday. but promise I am a person. I'm very sorry to hear that. I'm afraid I have no say whatsoever in the enforced word verification. It's a measure by Blogger to reduce spam. I have voiced my thoughts on it as many others bloggers have. I didn't have to do prove I'm a person today and can't figure out why. How does it know!?? I feel for you, Jean, because I have the same trouble, and I'm supposed to be a very tech-savvy person! 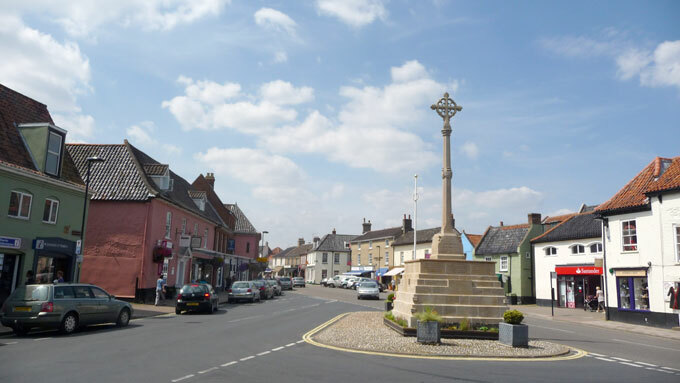 On another note you talked about, I too really liked the photographs of Holt and would like to visit it someday as it looks like such a charming town. When the anti-spam device presents numbers, I can usually read them with no trouble. When it gives us letters, one set in a legible word and the second set a mess, I press the reset button until I get letters I can read. Sometimes it takes four or five tries, but eventually I get something I can decipher and copy. Exactly my case too, Anon 03:27. Got numbers today- absolute heaven! I had been getting all those nonsense words and they're always the ones in the impossible to read script = so would take me multiple trys. I suspect any self-respecting spamming computer would be much cleverer at this than I am. It's been like some awful Christmas afternoon game - so hope the numbers continue. "[His] trip will start in Japan with diplomatic, commercial and cultural engagements in Tokyo and other places, representing the British government. "In China, William will officially open a 'Festival of Creativity' on March 2 in Shanghai, held as part of Britain's 'GREAT' campaign to boost British business. "In both countries, William will also attend engagements 'in support of his work to combat the illegal wildlife trade and support wildlife conservation,' Clarence House said." Obviously the trip has been planned around a specific exhibit, and the need for a royal person to open it on a specific date. The itinerary will also include cultural events and William's own interests. But those are rather vague as yet. The exhibit evidently is the reason for the trip. On a side note-Thanks for all your hard work on this post!! Very well done. Yours is my favorite Kate blog by far. No I'm not keen on it either, be ok if it was black or navy. Plus I don't know why she always has to hide her bump. You are not alone. :) I have never been a fan of rounded shoulders. Have to say I don't love the cape either but suspect it is quite cosy. I really believe William is wanted to soothe hurt feelings. As for the Shanghai Festival -- it is a lovely excuse for the tour -- plenty of international festivals happen that no royal attends. Events on behalf of the British government are mentioned for Japan but not for China, other than opening the Festival itself. I question whether there is a covert agenda; perhaps Prince William is simply the most senior royal, other than the Queen, who is welcome in China. After his efforts there against trade in endangered animal parts, he may not be, either, although the Chinese government clearly knows that will be part of his trip. Relations between China and Japan have been very tense over the last 12 months. At the political & diplomatic level both countries (China especially) have been very sensitive about visits to the other so the itinerary is likely to be carefully nuanced. This tension has been reported extensively here in Australia because it has a big impact in the Asia-Pacific region. Thank you for the information Blue Wren. One question. Do you think it will be trouble that China/Japan will be in the same tour. Like they feel pushed together (everyone will say the China tour) etc.? That adds another whole dimension to William's trip and the planning for it. Thanks, Blue Wren, for the heads up. I wonder why the British government wants to send William into such a situation - he probably can have no influence on Japan/China relations. Unlikely Rebecca. This is a low key and short visit that's been organised at government level. I'm thinking if relations are poor at the moment between the two nations (I'm no FCO expert so didn't know this - thanks Blue Wren) then it may be more a case of William not offending Japan by visiting China without visiting Japan too than the relationship between the two nations. A bit like when you have to relatives who are rowing and you try to stay on good terms with both by visiting them separately. This will be a bit more of a diplomatic challenge for William then he has faced so far. Too bad Kate can't be with him. Your analysis is very interesting, Leo, and I think you are right in saying that a visit to both countries avoids playing favorites in a sensitive situation. It is too bad that Kate cannot go; I know she would love to see something of China and Japan, and she would no doubt charm everyone there. But William did a very nice job alone (with staff of course) in New Zealand after the earthquake, and in Malta. He may even be able to focus more carefully on the nuances of this trip without Kate. I am still a bit perplexed by the conflicts between royal planning and family planning. It's a bit as if the Palace never expected the Cambridges to have a second child, at least not now. Surely it makes sense to alternate royal duties such as tours with pregnancies, given their age and the necessity to have a family. William and Catherine seem to know this; the event planners have apparently tried to override nature a bit. They seem to expect normalcy when things are not normal. I hope Kate is all right. She did not attend Mia Tindall's christening last weekend, and she is said to be tired. She is also apparently expecting a visit from the Queen at Anmer Hall before long, and she must be preparing for the New York trip. After that, she'll be getting ready for Christmas. Her post-holiday rest, and time with George before a new baby appears, will be well earned. I agree on family planning. Not something I normally question as babies happen when they happen, but Kate was with William for years without incident so one would think this pregnancy is planned. It is a bit strange with the tour of Malta and the tour of China already in the cards - and both unable to be postponed unlike the tour of Australia when Diana fell pregnant with William. They are running their babies very close together -- it is said because Kate and Pippa are so close but William and Harry are too and are spaced further apart. Maybe Kate wants to get her breeding over with. Don't know that I would worry too much about Kate. When she was supposed to be much more ill, she was attending a party at the Middletons and saying she felt okay. I suspect she could have attended the Christening if she wished and still have had ample time to rest before New York. If she was really exhausted, she could have forgone New York where she was not originally expected. I believe you are right about normalcy -- as long as it is on their terms with all the perks that come with royalty. This morning's "Daily Mail" has a gorgeous Prince George calendar----14 lovely photos. Have seen them all before, but they look even better large and shiny! Had hoped we might get a Christmas picture of him under the tree or visiting Santa---but probably not. I hoped for a Christmas picture of George, too. Maybe he can accompany the RF on the walkabout after church on Christmas Day--maybe he can meet them out front after the service. I'll wager he is too full of life to make it through a church service at this point! This is my first comment on DKB. I've been a reader for a long time and love your professional posting style. I'm coming over as a regular on another Kate site and have decided to come over here to post instead. The other site does not allow any sort of constructive criticism of the BRF or the blogger. I like that you have the guts to listen to your readers Charlotte and I like you more for it. I too have the Daily Mail calendar, I suspect we will see Prince George, either a new release picture or him walking to church on xmas day. Lovely sunny day here in Cheshire off for a festive round of golf. My hubby has just renewed my annual Xmas pressie a years subscription to Hello magazine, that way with this blog and my magazine I don't miss what's going on. I hope they release a Christmas picture. Or at least a new picture on their Christmas card. I highly doubt he will come along for church. I think they are a little older when they start going there. We've only just seen lady louise attend the xmas church service and she's 10. Be nice for s new picture but I woukdnt be surprised if they didn't. Can't remember did we have one last christmas? Think it will be a number of years. The British royals don't seem to take their little ones to church as happens so often elsewhere these days, even among European royal families. Wonder if that might change after the queen's time. Has anyone else read the article that kate is due to begin her maternity leave after a extended xmas break and will stop doing engagements then as the last few have taken their toll on her. Where is the article, please? I did a google search and I can only find it at Celebrity Dirty Laundry. If she is feeling taxed already she would cancel New York. Oh my gosh. If she stops that soon, she is going to get so much flack. That is four months before she is due. I read it on Twitter last night this should be the link. Do they all traditionally take January-April off? It's not that they take it off, it's that there aren't many big occasions - the first being St. Patrick. We still got to see engagements from January and February. Only, no big official things like in late spring or autumn. Actually the royal calander year is a shirt one. Queen takes aug to oct off. Then xmas to feb. Quite a short year really. I'd rather focus on what she *does*. That is what motivates me to follow this blog; not debates about what she doesn't or should do. No, all the royals take Christmas off, but with the exception of the queen - and Kate this year - most are back to work in January, although taking a sunshine holiday in the period is not uncommon for some. The queen, who has never shown the slightest interest in the sun - unlike her sister - remains at Sandringham for the month of January. Everyone else normally returns to work and may have fairly busy working schedules during the winter. This last Sophie, Anne and Charles were all back at work during those months. The normal big royal holiday period is August. Hopefully, Kate isn't going to make a habit out of her winter siesta -- although since she is pregnant and William will be touring, who knows this year. Criticism of Kate's work ethic has been spreading rapidly even among those who are strong royal supporters and I suspect this may be why there has been a sudden if slight increase in engagements this autumn. We'll see if it continues given she will probably be on "maternity leave" durning the busiest royal months of May and June. (Although she did nothing this last May, apparently recovering from Australia. Other royal families do have traditional events such as a large New Years party. A pity there aren't more events like this for the British royals. Once again the negative assumptions and supposition when none of us knows diddly squat about the plans! The Queen always stays at Sandringham until 6 February which is the anniversary of George VI, her father. Other Royals get back to work by 6th January. But it isn't about the royals availability - its also about their being events etc that they have been invited to. It is 2-way traffic. Personal circumstances do play - Sophie and Edward dont do engagements during half-term and school holidays - or limit them. I was more concerned with the article that she wasn't feeling well rather than the extended leave. It would seem that she actually put in more days in 2012 - where she appeared in public 55 out of the 365 days. 42 days so far in 2014. She'll probably be more active in the 2nd part of 2015, but I wouldn't expect her to do too much, if anything, in the first part of the year. If you follow the numbers above given by anonymous - it seems Kate contributes 2% to the the total of all royal engagements -- 100/3888. I think Anonymous's stats are about individual appearances, while Maryland Moxie's are about days (so counting multiple appearances in a single day as one), so there is a discrepancy in comparing the two. Kate probably has more total appearances this year than any other year because of the tour in the spring. The three weeks of mostly multiple engagements every day inflates her total appearances number. She probably has done more appearances this year than most other years. But I'm not sure I find that too impressive, given that she has also taken multiple entire months off (excluding the HG, obviously), and frankly, counting things such as watching sports, walking to church with your family, or accompanying your husband on an all-expenses paid business trip seems a little silly to me (not an attack on you, Maryland Moxie, but rather how everyone counts appearances). That's what most people do for leisure. As are most of the things they did not on the Australia trip. Don't get me wrong, obviously it's different when thousands of people are watching you. But most of her appearances have been very easy and laid-back, not to mention short, and involve a lot of watching sports. And everyone has to worry about their appearance to a certain extent. Obviously they are not as analyzed nearly as much as Kate is, but we all have bosses and coworkers to impress, and actually a lot more pressure in some ways since we can be fired! I agree with Maggie. Its events vs days. However (and how often has someone said this) Royal engagements and number of days tallied up does not mean that is all that they do. Current examples are the video by William re Angry bird and the video by Harry about HIV. Obviously planned, scripted, re-scripted, rehearsed, filmed. None of that appears in the Court Circular. We know it must have happened but there is no official record. Same last year when Catherine did a video re Hospice Care. Neither Catherine or William are full-time royals. So get over it. If its ok with HMQ, then that's good enough. I just gave the facts. I didn't spin it to the positive or the negative. These are not "my" public appearances, but what Kate did. It is the court circular that increases all the royal numbers by including getting on planes and getting off planes as "engagements". Kate spent one day in Belgium, but they called it five "engagements". They did the same with the Singapore President's visit - apparently that was three "engagements" in one morning. Royal math is interesting! "Neither Catherine or William are full-time royals. So get over it. If its ok with HMQ, then that's good enough." Thanks, but no thanks. I think I'll continue not getting over it, because I'm entitled to an opinion just as much as you are, although my opinions are generally less rude. I understand they don't see themselves as full-time royals. That's my problem. And frankly, I couldn't care less whether or not the Queen is okay with it. I'm interested to know if she is, but either way, I don't really care if she's fine with it, especially since she isn't the one paying the taxes that go to support their lifestyle and all of the full-time perks they get, despite not being full-time royals. And yes, yes, I know, they are funded by Prince Charles/William's inheritance. But Prince Charles' money, and Diana's marriage settlement money, is from the Duchy of Cornwall. Which is something that would revert back to the government if the monarchy was ever ended. He has no actual right to that money, which could be the government's. Not trying to make this a debate about whether or not the monarchy should be abolished. Just trying to say that I think we all understand that William and Kate view themselves as part-time royals, but some of us are unhappy with that. My biggest wish honestly is that Kate would speak at more of her events. We barely get to hear her speak, and it's a little disconcerting and odd that such a high-profile woman has barely said much of anything about the causes she apparently supports and is almost solely just an image without a voice. In the 21st century, I'm just not sure I like the kind of message that sends about how women should be. And come on, if you really care about these things, actually talking about them would be incredibly helpful, and would also help make her appearances less about what she's wearing and how she looks. And in her thirties, there is just no excuse to still be bad at public speaking, especially given that in her twenties she was basically just a royal-in-training. I understand it is terrifying. I get it. But also, having had some experience with public speaking over the years, I know that you can move past that to a certain extent if you just work at it. Lastly, and this has been said just as often as what you're saying CP, so please get off your high horse, behind the scenes work is not counted because that isn't their job. Their job is to bring publicity and attention to important causes, and to represent the country. Yes, Prince William did a video. How many has Kate done? One? Aside from that, sure, there is some preparation for events. But it is naive to think that their already large office staff does not do most of the research/preparation for them. How can I say what their job is? I can't, but I'm fairly sure that there are more qualified people to do most of the behind-the-scenes work, and that the royal family's talents are best served by making them the public face, not private face, of different campaigns. I'm sorry, I know this post may come off a little abrasive. I just don't appreciate being told to "get over it." Maggie, I think your point about being told to "get over it" would have been stronger had you not gone on to tell another poster to "get off your high horse" or that you "couldn't care less whether or not the Queen is okay with it". I understand and agree that no one appreciates being insulted and I'm sorry to see it go there sometimes. But as time goes by it seems more and more clear that W&K's roles will not change drastically anytime soon. So, yes, we are entitled to express our opinions, but some of the negative comments that are repeated in every single post can be rather draining. I would like to add, there is no such thing as a "part-time royal", that's not even a position that exists. And even if it did, interesting that "full-time perks" are not forgone. Also, a full-time nanny and several house staff are funded specifically so Kate and William can do their duty (which she stated in front of the world on Nov 16 2010 that she would do). If they don't want to be full time royals, get rid of all the full-time staff they have who run their luxurious lives. The bar must be set very low for these two. Much lower than anyone else in the RF, even those who are private citizens and not working royals. Hear hear, royalfan! I continue to wonder why some of my countrywomen are so inclined to tell other people's royalty what to do. Does anyone know about the grey bag she's carrying? Love the shape and how roomy it is. It is Tod's D bag, I believe. I always notice that Kate shops alone. She is never seen with any friends. Which I think is really sad. I heard that Kate lost a lot of her friends when she was dating William because she had to be ready to see William whenever he was free, which makes it hard to hang out with her. Therefore her friendships suffered. I was not sure I believed it, but seeing how she never shops with friends it makes me wonder if that was true. I don't always shop with friends but occasionally I do. I just wonder if she is lonely? Just an observation. We do occasionally see her out with friends, though perhaps not as often as we might like. They chose some school friends as godparents for George (Emilia Jardine-Paterson, Oliver Baker), so they must be at least somewhat close to some of their old friends still. I imagine that she's also become friends with her protection officers and other people who work for her, like Rebecca Deacon, but we don't notice them as being out of the ordinary when she's out and about. I suspect that for many of Will and Kate's friends, they prefer to hang out in less public situations, like dinner parties at home. The Cambridges seem to wish to be exceptionally private people, despite being public figures, and perhaps their friends are much the same way. In my days as a serious shopper, I preferred to shop alone. Shopping with friends was more to socialize than get things done. I imagine Kate's close friends are discreet and out of sight. She's also got her mother and sister for support. Despite the criticism of her work ethic, she seems to work hard to be a proper royal. She was rarely seen with friends.. I prefer to shop alone. Grabbed smashing bargains at black for Christmas pressies, never heard of them before today. Thank you Charlotte! Forgot to post the article! Here it is.